Health concerns bring premature end to Western Bulldog player's memorable career. Western Bulldogs’ premiership hero Liam Picken has been forced to retire due to the ongoing effects of concussion. On Monday, Picken informed his teammates of his decision to retire after 198 games with the Bulldogs, after joining as a rookie in 2008. He hasn’t played a game since he was involved in a sickening head clash with teammate Josh Dunkley in the 2018 pre-season. That incident was the second significant head knock of Picken’s career, after he collided with Fremantle’s Tom Sheridan in 2017. Despite courageous attempts to return for the Bulldogs, the health effects ultimately proved too much. Bulldogs Coach Luke Beveridge said he was sad about Picken’s retirement, however he admitted that a player’s health holds the utmost importance. “It’s never an easy thing to accept that one of the Club’s great servants will finish his career,” he said on the Western Bulldogs website. 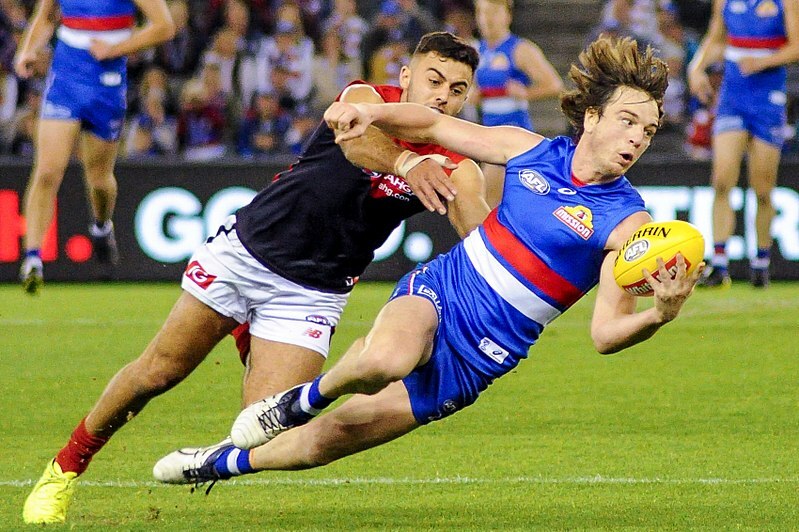 In Picken’s 198 games he kicked 87 goals and will be most remembered for his 2016 finals series, which led to the Bulldogs breaking a 62 year premiership drought. Picken kicked 8 goals, including three in the Grand Final win over Sydney. Picken’s retirement is just one incident of many, when it comes to AFL footballers falling victim to the effects of concussion. St Kilda forward Paddy McCartin has been sidelined indefinitely after numerous concussions have plagued his short career, whilst Melbourne midfielder Angus Brayshaw was advised to wear a helmet, after a number of head knocks kept him off the field over the last few years. Just last season, concussion effects forced Brisbane Lion’s defender Jack Frost and St Kilda midfielder Kobe Stevens, to retire at just 26 and 27 years old. Frost suffered 14 concussions during his time with Collingwood and Brisbane. Recent AFL players who have had to prematurely retire due to concussions, include Jonathan Brown, Sean Dempster and Jack Fitzpatrick. Australian band Sticky Fingers accused of misconduct. Miss Piggy proves her interviewing chops with rocker Beth Ditto. Sarah Abo: From archive room to SBS reporter. It can be intimidating to start out in an industry, especially a highly..
How journalist found her way in media. From the Natural History Museum to the BBC, Bowers shares her media experience. Living in the national capital can be a polarising experience, especially when..
Can your iPhone keep you from getting a ticket? Tahlia McPherson looks at how..
TV presenter Louis Theroux finds himself in a tense situation while.. When they graduate, nursing and midwifery students Aimee Young and Liana..